The Florida energy giant provides a long list of new commitments to Hawaii consumers. 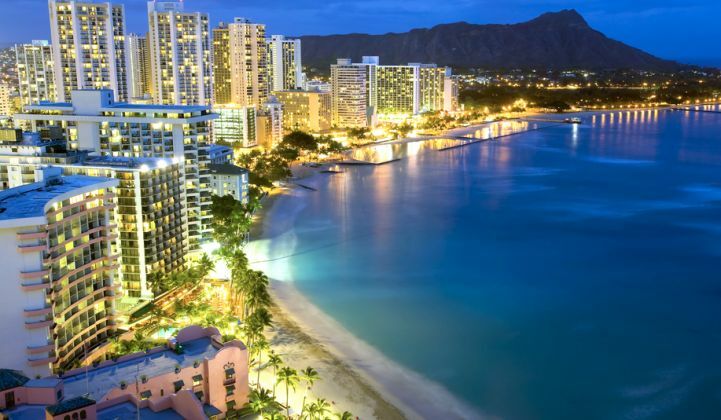 Accelerated smart-meter deployment, updated emergency-response plans, and more charitable giving are some of the 50 new commitments NextEra Energy has made as part of its $4.3 billion proposal to buy out Hawaiian Electric Industries. The Florida-based energy giant made the promises in a filing submitted Monday to the Hawaii Public Utilities Commission. NextEra said the deal with HEI will deliver a broad range of public benefits, including nearly $465 million in customer savings and $500 million in economic benefits over the first five years following approval. These figures are "a conservative estimate" that his company could defend, said Eric Gleason, president of NextEra Energy Hawaii, on a conference call. He added that NextEra is dedicated to reaching Hawaii's goal of 100 percent renewable energy in 2045, "if not sooner." In July, Hawaii Gov. David Ige told the Honolulu Star-Advertiser that he opposes the acquisition, and is recommending that the PUC reject it. Two Hawaiian state agencies -- the Office of Planning and the Department of Business, Economic Development and Tourism -- have also said they're opposed to the deal, along with several other “interveners” in the case. Ige reiterated his concerns this week. "We are looking for a partner in the electric utility that really embraces 100 percent renewables and, I think, more importantly, changing the business model from the traditional electric utility to what would work in a fully distributed generation renewable future," he told the Star-Advertiser. It's unclear whether NextEra's latest gesture goes far enough to earn the governor's support. NextEra is eager to win over its detractors, many of whom are worried about losing control of Hawaii’s largest company. Two groups -- Hawaii Island Energy Cooperative (HIEC) and KULOLO -- are pushing to form local co-ops as an alternative to the merger. As part of yesterday’s filing, NextEra reaffirmed its proposal to preserve local headquarters, local management and the Hawaiian Electric name. Hawaiian Electric would also maintain authority to approve up to $20 million in capital expenditures without additional approvals. NextEra also committed to giving at least $2.2 million in corporate donations each year for a minimum of 10 years post-closing, in line with HEI’s 2014 charitable giving. As another part of the deal, NextEra agreed to expand HEI’s smart-meter pilot program to almost all of its 450,000 customers over the next two years. The program would also include time-of-use rates, giving customers greater visibility into and control over their electricity usage. To underscore NextEra’s dedication, utility leaders pointed to the 4.8 million smart meters and more than 12,000 intelligent devices that have already been deployed by its subsidiary Florida Power and Light. Gleason vowed NextEra would also integrate more rooftop solar, which has already been adopted by one in nine Hawaiian homes. Utilities in other states, meanwhile, have been looking to slow the uptake of distributed solar. Solar advocates in Florida are currently attempting to pass a ballot initiative that would allow for third-party solar financing in the state. The initiative is opposed by NextEra and other Florida utilities. Both sides presented oral arguments on the Solar Choice Amendment before the Florida Supreme Court earlier today. In Hawaii, final approval of the HEI acquisition now rests with the PUC. The commission will hold several public meetings on all islands over the next two months, and formal hearings are scheduled for November. A decision is likely to be pushed to the new year. This story has been corrected to show that NextEra expects to save Hawaii customers nearly $1 billion, not $1 million.